One might conclude that along with company growth and expanded resources, something like social media – a function so close to the heart and soul of brand’s identity – would be reigned-in and managed in-house. This data, however, paints a different picture of social media outsourcing: the bigger the company, the more social media work is outsourced. But if you take a closer look at the data, something changes when it comes to post boosting. When compared to ad management and performance reporting, many brands that prefer to outsource social marketing elements chose to keep post boosting in-house. Perhaps this speaks to the holistic approach of boosting “good” content. When marketers see something going well, they know it, and want to support it with ad spend immediately. Did you know there’s a tool that does this for you? What Do You Think?What do you think about the State of Social Marketing 2014? Does this reflect your own social marketing practices? Let us know here in the comments, on Twitter, or Facebook. We’d love to hear your feedback. Stay involved in the ever-changing conversation around social media and join us at Engage London 2014. A social media event for marketers, by marketers. Speakers include Beth Foster, Social Strategist at Google, and Robertjan Groenveld, Social Media Hub Manager at KLM. Early bird registration ends March 31st. We hope to see you there! Who Did We Ask? We surveyed over 500 marketing professionals for a number of industries including Education (13%), E-commerce (9%), Software (9%), Travel (9%), Nonprofit (9%), and Retail (7%). Because social media marketing is not exclusive to large companies, like many above the line communications are, we asked start-ups and fortune 500 companies a­like. 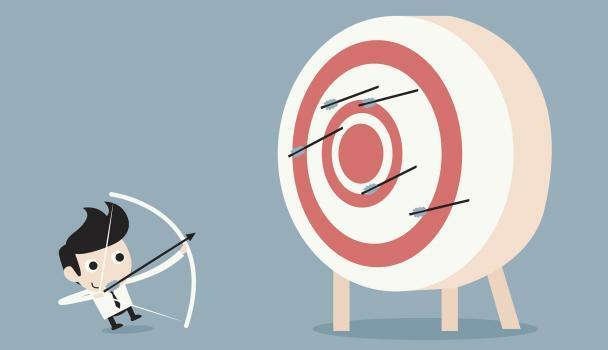 Is personalisation really worthwhile- or are marketers missing the mark? When we walk into a shop or a restaurant we appreciate the personal touch, and being treated as an individual goes a long way. Now, with consumers spending more of their time online, marketers must take steps to maintain the “personal experience” across a brand's entire digital presence. Building up a rapport without having the opportunity to meet face-to-face isn't easy, but there are ways to achieve it. The emergence of Big Data, for example, is allowing marketers to drill down into an incredible level of detail, and this in-depth understanding of who is visiting the website, mobile site or app, enables marketers to target customers with things that make the whole journey more relevant. Just like being in a clothes shop and the assistant suggesting things they think you might like, thanks to Big Data, brands can offer their customers articles, adverts or products which are more relevant to them. When done right, personalisation is a win-win for both the customer and the brand. There is a treasure trove of information on people visiting a site that marketers can use to deliver an online experience that, much like a real-life service, is tailored to suit the customer. This way, the consumer has a better experience through things like exclusive offers, or information on products that interest them, resulting in three key elements of loyal behaviour; willingness to buy more, reluctance to switch and likelihood to recommend. Personalisation has evolved very quickly. A few years ago, you’d be lucky to get a simple “welcome back” on a website, let alone a web page specific to you. By trying to transform into an integrated, multichannel business and through harnessing Big Data to learn about each online shopper, brands can now greet their customer with a site that suits them rather than just a simple “hello again”. Nonetheless, despite the benefits to the customer of a personalised experience, our "Click Here: The State of Online Advertising" research found that just 23% of those surveyed find customisation valuable, which suggests brands still aren’t getting it right. This is an important wake up call to brands and should make us question if it is a worthwhile practice, or if brands and marketers are simply missing the mark. We only need to look to brands like RSA, one of the world's largest insurance companies, to know that when personalisation is done properly it works. RSA is able to determine what kinds of services customers want and, in response, continually optimise online experiences. By capturing insights into its customers' interests and preferences, it is addressing its customers as individuals and the results speak for themselves. Conversion is up 2% and profits are up by almost £1 per sale, proving that personalisation can and will have value to the customer - as well as a huge impact on the bottom line. The same Click Here: State of Online Advertising research found other brands doing it well include online giants Amazon, eBay and TripAdvisor, with their helpful product and page suggestions inevitably playing a big role in them being named by consumers as top brands for personalisation. Online marketers clearly understand the benefits of personalisation, with 52% of those surveyed claiming that being able to effectively personalise content is central to their marketing strategy, and 71% claiming it has a big impact on ROI. If brands want to maximise the benefits personalisation has to offer, they need customers to not just be accepting of it but to actually demand it. It is only when individuals experience and appreciate the same personal touch online as they do in-store that a strong, two-way relationship will emerge. The only way marketers can create this demand is to do personalisation well, and for this to happen there should be a number of considerations. First, there needs to be a seamless experience for the customer across all channels, campaigns and marketing activities. Marketers can then analyse the customer's digital journey to decipher when conversion is highest, and create the personalised experience that has the most potential to grow conversion or engagement. Timing is also key in the online marketing process, and it is important to capitalise on the customer’s interest in your products as early as possible. Fortunately, the technology now exists to do most of the hard work, deciding which content and offers are most relevant to the customer. But while the machines can look after most of the data and analytics, a blend of data-led and intuitive marketing often works best. If marketers continue to improve their understanding of the individual customer, delivering what they want, when they want it, customers may join marketers in realising the real value of the "personal touch". Tresilian Segal is head of marketing Northern Europe at Adobe Marketing Cloud. Fear-Based Marketing: Effective or Evil? Fear is one of our most primal emotions, instilled from infancy. When my dad said I better stop crying or he’d give me something to cry about, do you know what I did? Yes, our natural instinct to avoid danger or harm is a powerful motivator and influencer of behavior. Always has been, always will be. Not surprisingly, marketers caught on to this fact decades ago, whether they were selling financial services or personal hygiene products. And while many marketers took a respectable approach, others went straight for the gutter. Scientific studies have been done to evaluate various approaches to fear-based marketing, but appealing to someone’s fear typically involves three steps. 1) Present a risk or threat that arouses fear. The risk or threat has to be realistic and severe enough to motivate your audience to act. This is why you need to do your research and know your audience instead of making assumptions. 2) Show how vulnerable your audience is. If you try to scare someone with sensationalistic claims, you’re being manipulative. Instead, discuss the real consequences of not acting. 3) Explain how you can protect your audience. Convince your audience that the risk reduction or threat removal is worth the effort and cost involved with using your product or service. This is when most marketers screw up. They revert to marketing-speak, going on and on about how wonderful their product is. A critical part of the third step is building up your audience’s self-efficacy – the belief that they’re physically, mentally and emotionally strong enough to take action. If someone feels they can’t control their fear, they won’t act. In other words, you’re not just selling your product as the solution. You’re empowering your audience to face and overcome their fear. In a previous post, I discussed the power of pain point marketing. Like pain point marketing, fear-based marketing doesn’t exploit people’s desperation. It also doesn’t have to involve a life or death situation. Are financial advisors being evil if they warn people of the consequences of failing to save for retirement? Is a doctor being evil by telling people that drinking one can of soda per day can dramatically increase their chance of chronic illness? True, by the way, according to a recent study. There’s a big difference between persuasion and manipulation. Fear-based marketing can be a perfectly acceptable and ethical approach to marketing, as long as it’s based in reality, and especially when you use marketing to build trust and establish yourself or your company as an authority. When delivered powerfully yet respectfully, fear-based marketing does more than motivate people to buy products and services. It can motivate people make positive changes in their lives. Many people tend to bury their fears and pretend they don’t exist. They allow their emotions to cloud the cold, hard facts and refuse to admit they’re afraid of anything. A fear-based marketing message can help people accept reality and face their fears. Some marketers believe any negativity is poison in marketing, and tapping into someone’s fear is the equivalent of emotional blackmail. Unfortunately, real life isn’t all pretty flowers and rainbows. Marketing should reflect real life, complete with real fears and real problems. Imagine the sense of relief someone would feel if you empower them to overcome their fear and neutralize a genuine risk or threat. As marketers, we’re not being evil. We’re doing our job. Advertising is going to change more in the next 20 years than it has in the last 100. If you need proof of that, just look at the patent Google was granted Thursday for a Google Glass-based ad system. Dubbed "pay-per-gaze," the content would charge advertisers for the number of times someone literally looked at their ad. The concept is buried pages deep in a patent for a "gaze tracking technique ... implemented with a head-mounted gaze-tracking device that communicates with a server." It would likely make money hand over fist, and is clearly the main future-focused impetus for the patent. But it's far from the only one. What is this head-mounted gaze-tracking device of which they speak? "Eyeglasses including side-arms that engage ears of the user, a nose bridge that engages a nose of the user, and lenses through which the user views the external scenes, wherein the scene images are captured in real-time," says the patent. It never uses the word Google Glass — but if someone can explain to me the difference between that device description and Google Glass, I'd love to hear it. So to recap: the world's largest search engine was just granted a patent for the most sticky form of advertising possible — ads that literally flash in front of your eyes. Google gets paid when it can ascertain that your pupils pointed in that direction, and for how long. And all of this on the device it is currently seeding among the influencers of the tech community. 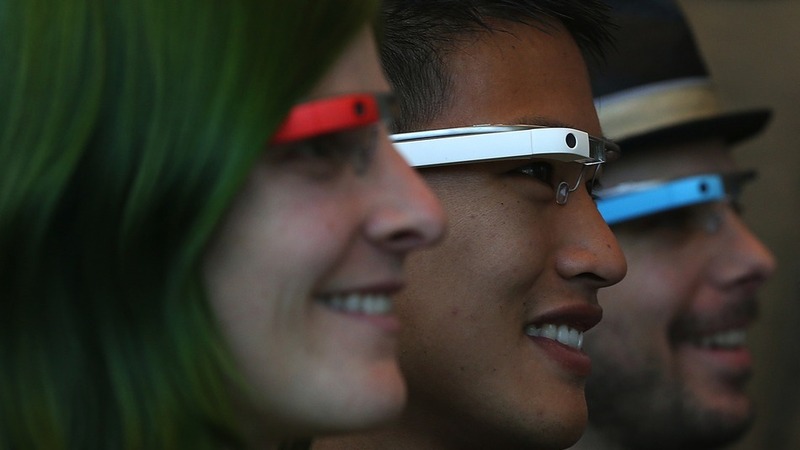 In other words, Google Glass is going to bring a whole new meaning to "made you look." Phase Two: Pay-Per-EmotionNow it's Google, so they're likely to be smart and subtle about it. It'll start by offering an extra layer of reality-augmented ads when you're looking at specific Glass-friendly billboards. Hey, it was obviously an ad, and you looked at it, so you must be interested. You know advertisers will pay for this sort of high-tech gimmick as an add-on to their campaign; it's an easy way to look hip and gain media coverage without spending all that much on the test-bed target audience. At this point, depending on the reaction to phase one, local advertisers may get interested. You may start to see menus pop up in restaurant windows, and the restaurant pays if your eyes linger over a given menu item. Either way, this is all just a prelude to phase two, in which the Google Glass camera will intensify its gaze on you. Phase two, as described in the patent, will be pay-per-emotion. If the ad can make your eyes dilate — say, a picture of a particularly delicious slice of pizza in a restaurant window, or a racy Gap ad — the advertiser pays more. "Pupil dilation can be correlated with emotional states, (e.g., surprise, interest, etc. )," the patent helpfully reminds us. And it's simplicity itself for a camera that's tracking your gaze to track the size of the gazing subject's eyes. The Far Future of AdvertisingThis is exactly the sort of thing that made William Gibson quit writing science fiction. We seem to be entering an era where tastemakers are willingly accepting augmented advertising that is flashed on their eyeballs by the world's most technically advanced multinational. That's more cyberpunk than most cyberpunk. So let's get ahead of the game and speculate in even more outlandish sci-fi ways that are already technically feasible. If Google Glass advertising is smart and successful enough, if it gently overcomes the creepiness factor with the glories of convenience, what next? Well, we already have prototype devices that can read and translate your electromagnetic brainwaves, believe it or not; you can literally think instructions to them. You can be as precise as thinking of a particular number or letter, and the device can read them; this was shown in experiments as early as 2000. The first time I tried one, in 2009 — the Epoc by Emotiv — it was a helmet-sized thing with plastic tendrils plugged into a PC. Within two years, such prototypes were the size of a headband and worked with your smartphone; after all, they're just readers of electromagnetic activity. I have no doubt Google Glass version 3.0 could do this with spectacle frames pressed to your temples. The ultimate implementation of this for advertising, marketing and sales? Here's what occurred to me 13 years ago when I first read about those mind-reading number-and-letter experiments:just wait until credit card companies get hold of this. You'll be thinking your account numbers at advertising in no time. Think about it, no pun intended. If you were really hungry, really wanted that pizza, and could order it automatically by simply by looking at it and thinking your credit card number, why wouldn't you? This is where we really go down the rabbit hole of the future. Because if you only have to think your number at a picture, do checkouts vanish? Does every store become an automat? Will people want to carry hefty shopping bags, or simply look at displays to have whatever they like overnighted to their homes? Will the malls of the future start to look like art galleries? Is there ever going to be a technological line beyond which advertising won't go? Leave your predictions in the comments. 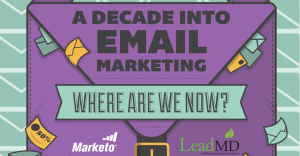 A Decade into E-mail Marketing: Where Are We Now? Are you getting the results you want from your email marketing campaigns? Email marketing has been around for a while now, and there’s a reason it’s such a popular channel in most marketers’ toolboxes. Savvy interactions can deepen customer relationships, inspire new ones, nurture and convert leads, and strengthen brand awareness. By delivering compelling messages tailored to specific customer triggers, marketers can take leads from engagement to purchase. That said, not every marketer is getting the maximum results possible from their email marketing initiatives. In fact, some are completely missing the boat. To learn more about how to maximize your email marketing initiatives, be sure to download our new ebook, A Decade into Email Marketing: Where Are We Now? It’s true that we’ve come a long way from the early days of blast campaigns that usually hit the wrong customers, ended up in the spam filter, or simply created feelings of annoyance and intrusion. In fact, the time has never been better to be a marketer. Technologies like marketing automation allow companies to design polished messages that deliver the most relevant conversations to the right prospect at the perfect time. Lets face it, email has always been a cheap medium as well, with no printing and shipping costs to worry about, email helps mid-market and emerging businesses compete with the big leagues. Consider the cost of executing a digital campaign these days vs. the postage driven campaigns of just a few decades ago and you can see how powerful email is not only in terms of engagement but also as a cost cutting measure. These days we use email for all kinds of initiatives. Whether we want to reenergize fading leads, deepen engagement with existing customers or launch irresistible upsell and cross-sell offers, we’ve got the tools to tailor our messaging with unprecedented precision. And as mobile rises in popularity with countless users, leads are more connected to their email than ever before. So what’s the problem? The truth is that there are so many strategies and channels to consider that many marketers feel overwhelmed. Some are uncertain of which tactics they should be using; some are pursuing unproductive initiatives; some are jumping from strategy to strategy without sticking to one long enough to see results. Still others are applying one overarching plan across all channels, without considering the specific parameters for social and mobile campaigns or the role of smartphones and tablets. To create a seamless cross-channel user experience, email strategies must align with the appropriate platforms. The rapid evolution of marketing technologies has left many marketers with a skill gap, and others completely in the dust. Even businesses that have invested in good marketing platforms often lack the training to fully understand how segmentation, testing and analytic tools can help them drive ROI and measure campaign performance. Another common issue: the failure to understand the necessity of tailored and engaging content. The days of predictable promotional emails are over, and marketers must create relevant emails that foster an authentic connection with customers. Not only can such relevance make the difference between a delete and a transaction, but techniques such as initiating transactional emails or driving readers to dynamic landing pages on marketing platforms can boost conversions, revenue and brand visibility. So let me ask you again: are you getting the most you can out of your email marketing campaigns? Are you using the right strategies for the right channels? To help you decide – and learn some new tricks – we’ve put together a new ebook, A Decade into Email Marketing: Where are We Now?, which focuses on deft marketing strategies to help you maximize the potential of this rich marketing tool. We’ll share the 5 pathways to high-impact campaigns that attract, convert and close. Take a look and discover how you can design emails that turn leads into customers and engagement into sales. 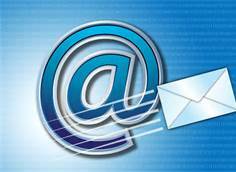 Want to learn even more about email marketing? Be sure to pre-register for Marketo’s upcoming Definitive Guide to Engaging Email Marketing available on August 7th! One of the most important elements of any marketing plan is the ability to track the effectiveness of new initiatives. The ability to compare conversions prior to and following changes in an email or direct mail campaign can indicate whether you are receiving an adequate return on your marketing investment. One of the most valuable methods for determining ROI is closed loop analytics, which provides key metrics of marketing initiatives. In most inbound marketing strategies, analytics play a critical role. However in an email or direct mail campaign, automotive closed loop analytics can provide insights that can springboard your marketing to new levels of success. The metrics of automotive closed loop analytics can measure a variety of results including website visits, showroom visits and purchases. Depending on the granularity of your metrics, you may also be able to determine specific characteristics of these interactions like age group, income, or level of enthusiasm. 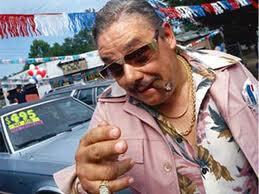 make your dealership a success for years to come. Inbound marketing strategies are designed to coax consumers who are already interested in purchasing a car find your business and make a purchase. With the aid of automotive closed loop analytics, you can refine your marketing strategy to identify those consumers who are most likely to lead to a sale.